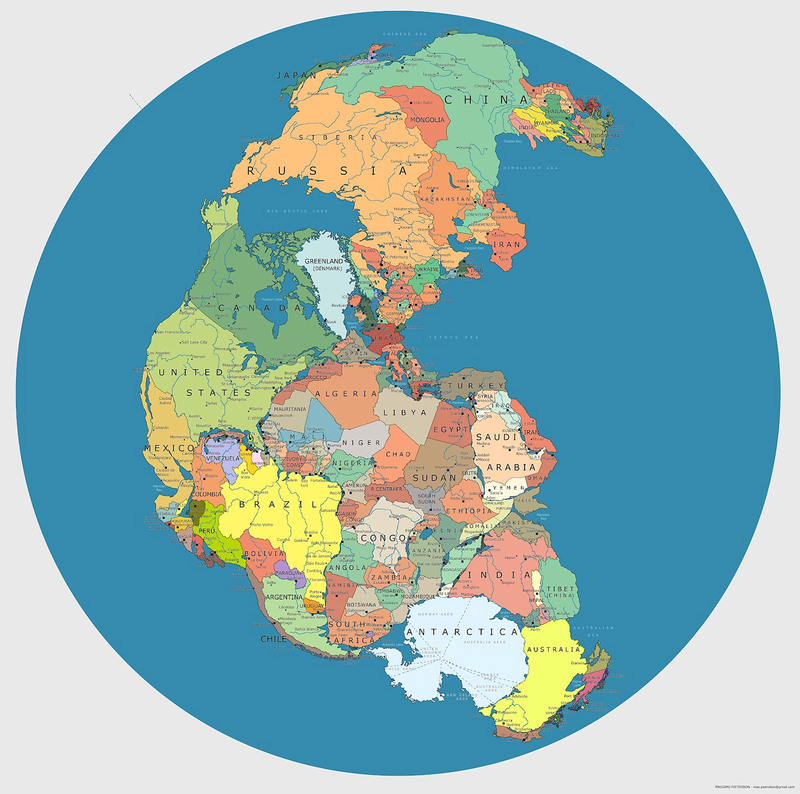 What did the Earth look like 300 million years ago? Well if we kept the current country borders, might it have looked like this? Some fascinating new neighbours in this schematic! I, personally, would love to go from Brooklyn to Morocco for dinner in the evening! ha!